IMPORTED WINES TO YOUR DOORSTEP	Mondo Imports delivers by self-operated couriers Monday through Saturday, to Melbourne Metropolitan and inner Suburban daily.  Mondo Imports was established in Melbourne over 50 years ago to establish a connection between continental products and a town that desparately needed them. What started as a simple delivery service on the back of a bike has now evolved into a national adventure that sees us selling our wares right across the country. We ship all our products in a controlled environment and ensure shipments go direct from supplier to us. Many others in our industry instead choose to ship via non-direct methods to save money. Find out how our story began, It all started with a small vision and turn into something great. The utmost care is taken when we select the wines we choose to offer our customers! We’ll deliver to your doorstep! For the best imported wines Get in touch with us to today!